Jessica Oostdyck from America visited Holland with Atlantic Bridge and as part of her trip came to our very own Easter Monday Youth Pilgrimage. 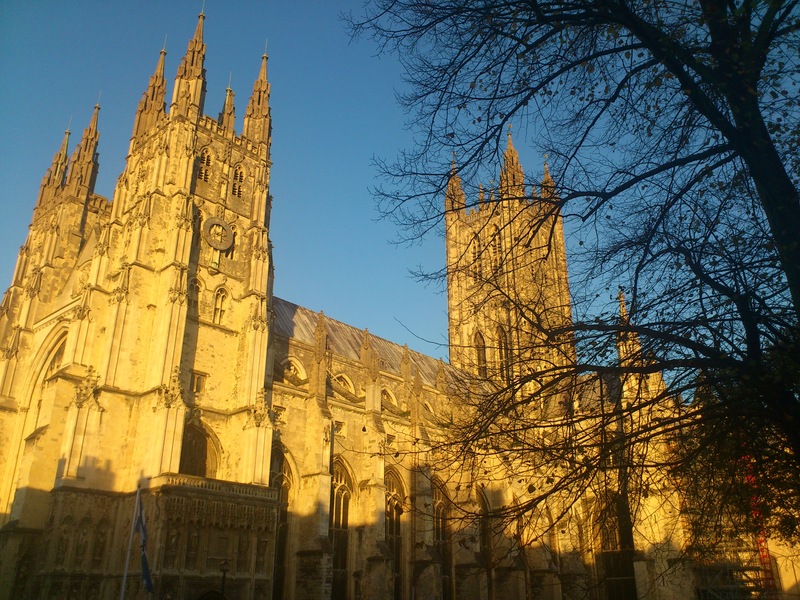 Part of this mission was a two day trip to England where we went on a youth pilgrimage to Canterbury together with some Dutch youth. It was fun meeting English youth and walking together for several miles through really nice country to the most impressive church I have ever seen. The best thing for me was to meet the Archbishop and be part of a youth service in the cathedral. with youth from many different countries. Here are the responses from some of the Dutch and American group when asked what the highlight of this experience was for them. Megan: Getting the signature of the Archbishop was pretty cool! Jesse: On the way I had lots of fun as I got in touch with new people but the best thing for me was the worship in the Cathedral as it made me feel very close to God. Michal: I am proud of myself for walking 7 miles on barely any sleep or shower, but when we got there, it was breath-taking. Max: The Archbishop was very nice, the Cathedral enormous and I especially enjoyed the white cliffs of Dover. Erica: The walk with the British youth was my favourite part. they were so nice and I am so happy I got to meet them.